I often hear people say things like, “I’d live in my car before I’d give up my pets.” Those same people also often say they don’t think the homeless should be allowed to have pets, because they aren’t able to take care of them. Around 2008, Southeast Portland resident Pam Bartel lost her job at the company where she had worked for 12 years. Not long after that, her ex-husband lost his job and about six months later, they lost their beautiful Victorian home. In the aftermath of that dark time, Bartel didn’t have much left except for Spaghetti, the Siamese cat she received as a “bonus” from her previous employer. 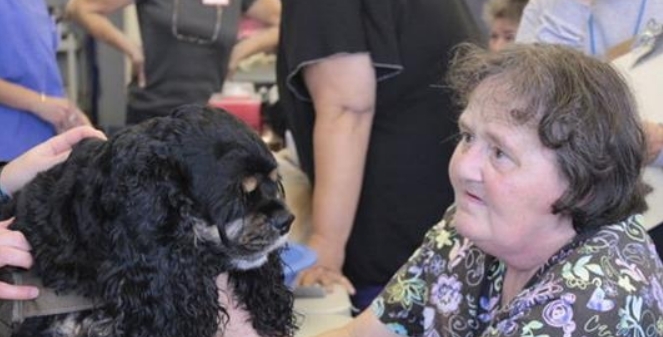 Pets like Spaghetti can provide a vital link to those who have lost everything else in their lives, says Cindy Scheel, executive director of the Portland Animal Welfare Team. 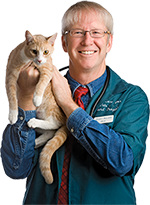 “These folks will and do give up anything in order to keep their pets with them,” says Scheel, whose organization provides basic veterinary care and services to pets of Portland’s homeless and extremely low-income population. Around 60 percent of the organization’s clients are families, says Scheel. Many are older couples who have no health insurance and face devastating medical bills. The Portland Housing Bureau doesn’t have data on how many homeless people have pets, but during a 2013 homeless count, 42 people said they slept outside with their pet on the night of the count. The next time someone you know says the poor and the homeless shouldn’t have pets, tell them to read this article from the Oregonian – and remember that there but for the grace of God go any of us.